Just last November in Louisville, two boys were seriously hurt after getting hit by vehicles. The two accidents happened the same day, with only minutes apart. According to the Louisville Metro Police Department, the first incident involved an 11-year old boy who got hit by three cars, with one driver taking off from the scene. The second incident, meanwhile, involved a 15-year old boy who got hit after getting off a TARC bus. This goes to show that teens are as vulnerable as kids in pedestrian crashes. According to an analysis conducted by the Louisville Metro Public Works Department, an average of 404 pedestrian crashes occurred each year from 2006-2010. The highest of which was in 2010 where 429 crashes were listed, while the lowest was in 2006 where only 371 cases were recorded. It was also found that crashes are more likely to happen during weekdays. Most prevalent is on a Friday with 358 crashes, while least common day is Sunday with 212 crashes. The same research also showed crashes are most common during the afternoon peak which between 3 in the afternoon to 6 in the evening. Crashes increase as the day progresses and then the rate drops off into the evening, with the lowest pedestrian crash rate from 3:00-6:00 in the morning. In a more recent report prepared for the Governors Highway Safety Association, a total of 30 pedestrian traffic fatalities were recorded in Kentucky from January to June 2014. The figure rose to 20% the following year, with 36 fatalities recorded during the first 6 months of 2015. Meanwhile, as per the Centers for Disease Control and Prevention (CDC), teens and young adults are most likely to receive treatment for crash-related injuries compared to other age groups. Children are still at high risk of sustaining injuries or getting killed due to their small profile. Always use the crosswalk when possible. Increase visibility by wearing bright-colored clothing. Your kids will need your help on this. Make sure to face the traffic when on sidewalks so they’ll know what’s happening around them. Refrain from using electronic devices when on the road. Always pay attention to your surroundings. Don’t be shy to ask help from adults if they need to. As a Kentucky Accident Attorney and a father, I feel concerned that children and teens are most vulnerable to pedestrian crashes. However, we need to understand that each of us has role to play in keeping young pedestrians safe. 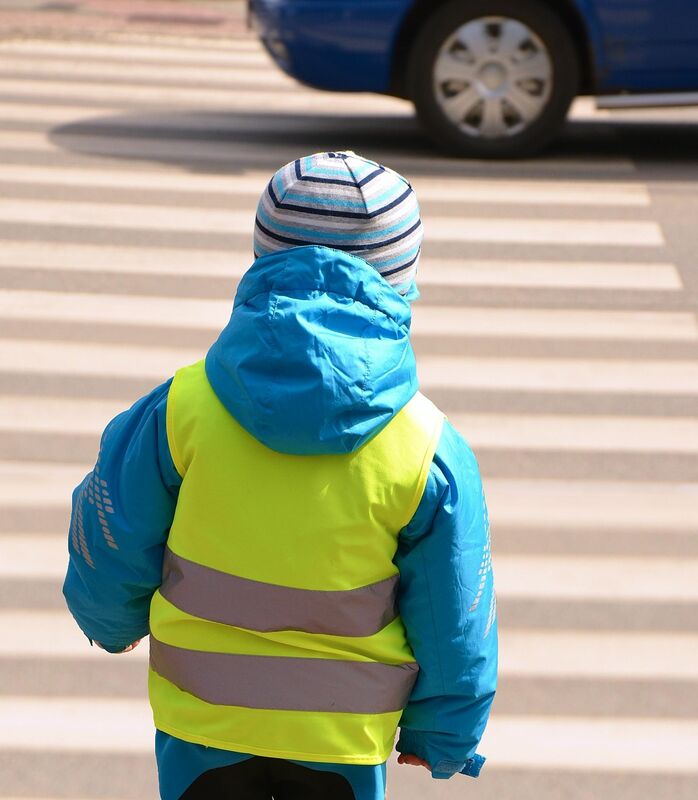 Let’s educate kids about pedestrian safety by taking the lead.